Most of you are interested in Korean music, K-dramas or K-movies, some of you try to create a small part of Korea in your own reality. Therefore, today we would like to introduce to you a book “Hand in Hand with a Korean Man” connected to Korean life written by Anna Sawińska, who has been living in South Korea since 2002. You can remember her, because she is part of „Zakorkowani – a podcast series about Korea, directly from Korea”. Anna Sawińska comes from Poland where she finished Main Commerce School on Department of International Commercial Relations. In 2002 she was granted the Global Samsung Scholarship, that helped her move to South Korea where she finished the Korean University and started working for Samsung Electrinics Co. Nowadays she works in one of the biggest shipyards in the world in Seoul. Since she has been living in South Korea she is big fan of travelling. She travelled by herself with bagpack all over Asia in 2004. She loves writting so she writes about private and proffesional experience on her blogu “W Korei i nie tylko” (In Korea and not only). Since 2013, as we wrote earlier, she has been airing the „Zakorkowani – Podcasts about Korea, directly from Korea”- audio blog with her friend http://zakorkowani.podomatic.com/. These blogs aren’t only writtings of Anna. She wrote a book titled „In Korea – bunch of essays 2003-2007”, which describes her life in South Korea and meeting with her Korean husband. But today we won’t write about this book, today we want to introduce to you Anna Sawińska’s new book „Hand in hand with a Korean man” which is set of chats made with Poles about their relationships with Korean husbands or wives. Due to interviewing individuals with very different world view, being in distinct partnerships, we can find out, how interesting – and also normal – the life with a Korean partner could look like. The conversations involved couples, which have been living in Korea for couple of years or those which came to the country not so long ago. 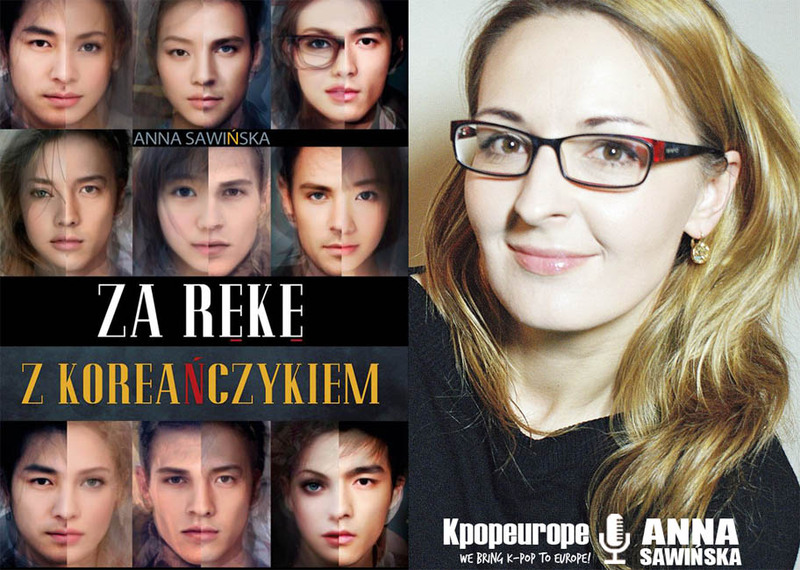 The author also reached a Polish – Korean couple who had a story happening in Poland. Amongst those couples there are some with kids and some without. At last, Anna Sawińska sincerely answers questions about the true story of her and her husband. Each of the interlocutors tells about the beginning of their relationship, how it progresses, up to the moment when they plan to be together. They speak about their living with a Korean partner, when this life is comic or sublime. From experiences of those people you can see the real Korean life looks like. Conversations are made in a casual way, thus readers can easily understand the culture of this unsually interesting country. In those terms, this book is universal. 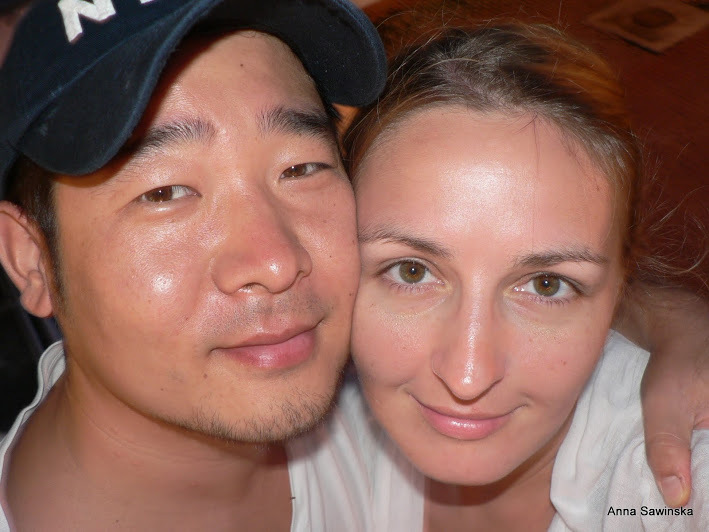 We would like to recomend you this new Anna Sawińska’s book „Hand in hand with a Korean man”. As you can see, this book will show you how life with a Korean partner works. If you want to find your future second half among Koreans you will know what to expect and how to handle certain situations that will cross your path. Book is published in Polish by publishing House “Kwiaty Orientu” (Orient’s Flowers) and it is available to buy on the page LINK. w Korei od jakiegoś czasu :).